The race to launch the first Bitcoin exchange-traded fund (ETF) seems close to a happy ending. Although it is difficult to determine a date, many analysts have expressed an optimistic view of the situation after analyzing the latest developments in this area. 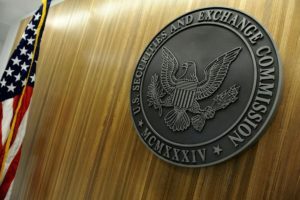 The SEC has acquired a bad image within the ecosystem of users and traders of cryptocurrencies after denying all the Bitcoin ETFs that had been presented. The most famous case was that of Gemini -the Exchange owned by the Winklevoss twins – while the last denied Bitcoin ETF was that of VanEck. However, after a few directive changes and the issuance of amendments to various decisions on this matter, the more open stance taken by the “new” SEC may lead to favorable results for the cryptocurrency markets. 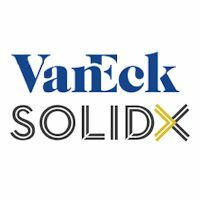 Recently the SEC published a Memorandum in which a Counsel to Pro-crypto Commissioner Elad Roisman shared her impressions of a meeting with representatives of SolidX, VanEck, and CBOE. 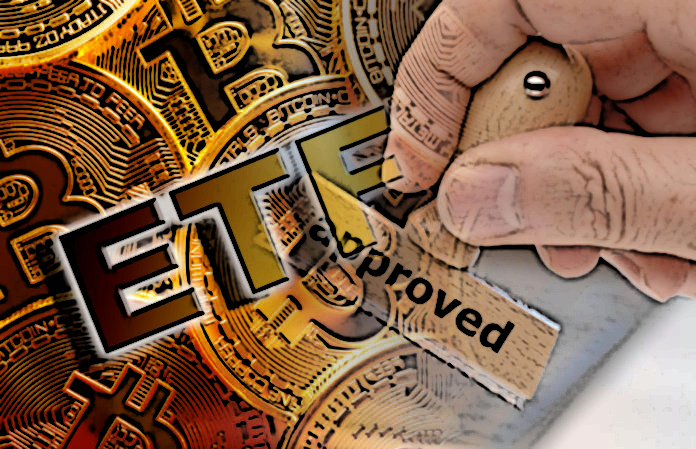 In it, the representatives of the crypto-businesses clarified the institutional doubts of the regulatory body regarding the characteristics of the ETF and the legal consequences that this instrument could generate. Relevant markets – Cboe, bitcoin futures, OTC desks – are regulated. Concerns around price manipulation have been mitigated, consistent with approval of prior commodity-based ETPs. Cboe’s rules are designed to surveil for potential manipulation of Trust shares. 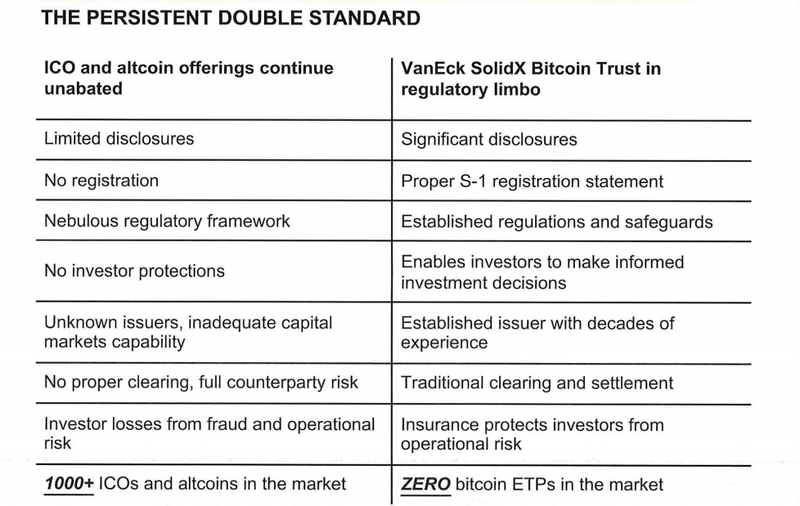 VanEck’s team also stressed that although there are many ICOs with a high level of insecurity, until now, the SEC has not made great efforts to limit them, let alone restrict their use; however, when analyzing their presence in the market there are more than 1000 ICOs while the SEC has not approved a single Bitcoin ETF.